Spotlight Musical Theatre opened its doors for the first time in January 2015 with the production of Aladdin. With all of the positive feedback, Spotlight also created a wonderful summer musical theatre camp. 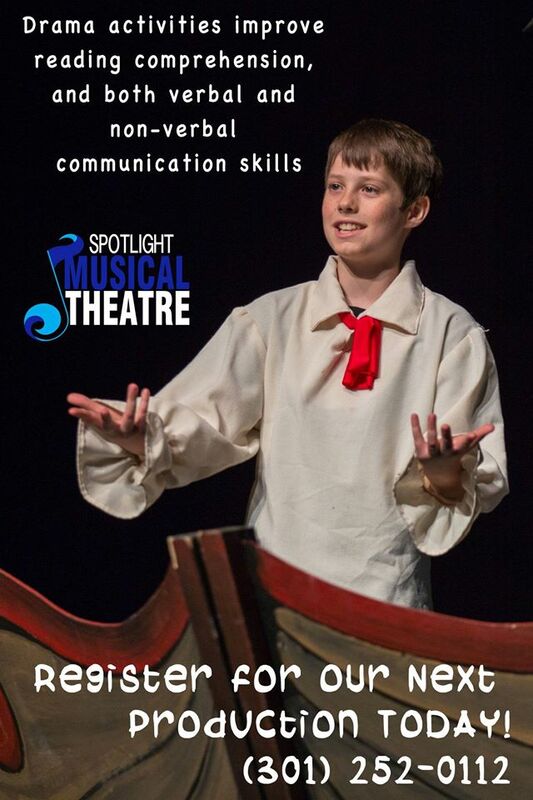 Spotlight will be doing 2 productions a year and is a wonderful opportunity for kids and teens interested in starting something new, or continuing their path into the performing arts. No one is ever turned away due to their shyness, stage fright, or uncertainty about a long term involvement in theatre. Spotlight Musical Theatre is the perfect place for these individuals to get their feet wet and where they can develop into young artists. Students begin each rehearsal with a warm up exercises. These are typically games that engage everyone, relieve them of any anxieties of speaking aloud, and release any tension in their bodies. The sense of play is always encouraged in the warm ups to get the “morning jitters” out. Following the initial warm up, the actors will warm up their vocal chords with our musical director. They will be taught specific scales and vocal warm ups that are repeated each week and allow each actor to practice their range and articulation. The musical director will review the songs that have been taught and teach a new one. Each student is provided with a script and lyrics for each song in the production. After a break, our director’s assistant leads a stretch to protect the students from injuring themselves in the dance number and provide them with dance pointers to improve their fitness and flexibility in their everyday lives. Once the muscles are warm, students will review choreography with the director, and learn new choreography. Since they have already learned the vocals for the songs, they will be required to sing while dancing as is requested in the script. This multi-tasking requires focus, dedication, and drive; three important aspects the kids will utilize as they grow into their independence. The remainder of rehearsal is spent blocking scenes and additional acting exercises and games. The creativity and imagination necessary to bring the scenes to life will help each actor discover their inner self, and always being aware of their surroundings. Aside from the professional training they receive, kids will build lifelong relationships with their peers and create memorable experiences that will enhance their confidence. 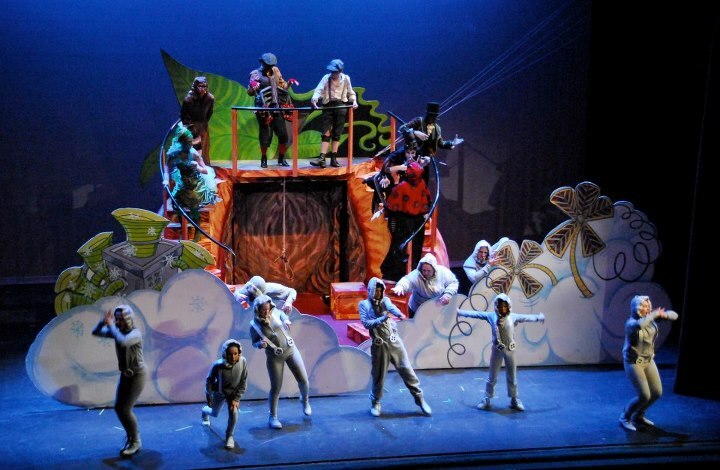 The kids will experience the entire process of a production with Spotlight Musical Theatre. They work in the theatre space for a dress rehearsal to polish their show before the performance. Sets, lights, and costumes give kids and their parents a taste of the industry. Students will feel a sense of accomplishment for all their hard work when they see the support of their families and friends at their performances. Awards and scholarships may be provided to those who have gone above and beyond throughout the rehearsal process. Parent volunteers may assist by selling concessions and helping with hair and makeup. Community involvement has been a wonderful part of the success of Spotlight Musical Theatre. Register today for our next production.